There are several pregnancy apps to consider downloading, but one of the most important ones is a good contraction timing app. Being able to accurately tell your Ob/gyn physician and nursing triage team the timing of your contractions is critical for determining when you should go to the hospital. When my wife was full term I found having a contraction timing app was critical to recording this data in an easy to use manner. We initially had tried to use the stopwatch functionality in the iPhone — but contraction timing apps can make this significantly easier. Unfortunately, when you search for contraction timing apps on your iPhone or Android device, many of the initial results are pregnancy apps you should stay away from. 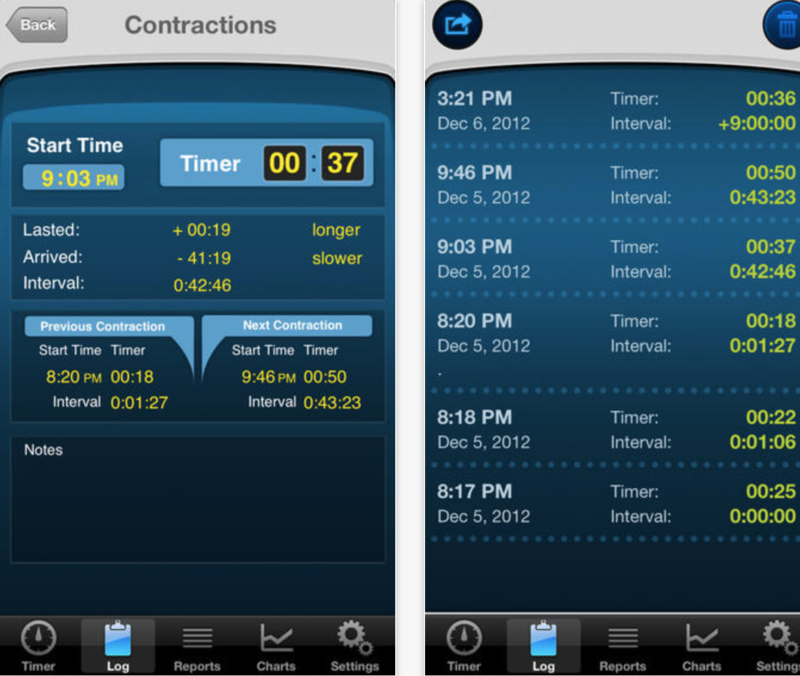 Has the basic features of enabling you to mark when your contractions happen, but doesn’t enable you to distinguish the severity of the contractions as the other apps do. It does let you put in a “note” — but typing a “note” into your phone during this time isn’t ideal at all. The overall “summary” graph isn’t the easiest to follow, and the app doesn’t present information in a straightforward manner. You shouldn’t have to spend time trying to figure out how to understand the app and the graphical representations of your data.